Below are some select photographs taken by AGS members that represent many aspects the science and profession. Photos found throughout the website can be used for education purposes, but please cite source and photographer. Edwards Group limestones along IH-10 near Junction. Photo by John Berry. Precambrian granite batholith. Photo by Brian Hunt. Fossil "corbula" from the Glen Rose Fm. Scale is about 2 inches across. Discussing structures in the Paleozoic Smithwick Fm. along the Colorado River. Fault along the Blanco River. Left side is the Upper Glen Rose, right side is the Edwards. Photo by Brian Hunt. Ripple structures in the Hickory Sandstone. PHoto by Brian Hunt. Al Broun examining cuttings from a well near Wimberley. The left side is the Georgetown Fm. and the right side is the Edwards Group. Photo by Brian Hunt. Fault between the Del Rio clay and the Georgetown Fm. Photo by Brian Hunt. Recharge feature in Onion Creek on CoA protection lands. Photo by CoA. Cow Creek Formation. Photo by Brian Hunt. Lower Cretaceous conglomerate and sandstones along the Pedernales River. Photo Brian Hunt. Precambrian granite overlain by the Cambrian Hickory Sandstone in Llano County. Canyon carved in the Lower Glen Rose Fm., Hays County. Photo by Brian A. Smith. Close up of the coral-rudistid boundstone of the Narrows. Photo by Brian A. Smith. Upper Glen Rose Fm., Travis County. Canyon gorge. Photo Brian Hunt. Sinkhole developed in a storm water pond in south Austin. Photo by Brian Hunt. Screen capture of a storm May 2015, photo by Brian Hunt. May 2015 floods were devastating to life and property. Bridge on hwy 165 near Blanco. Photo by Brian Hunt. 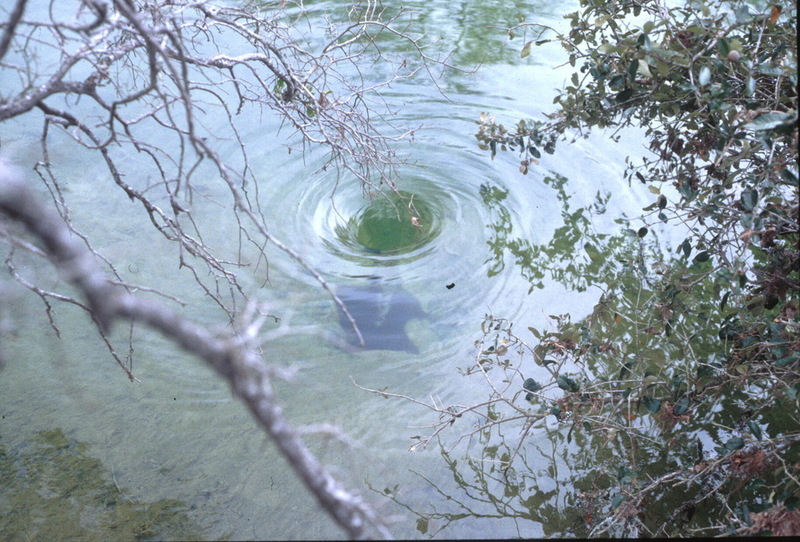 Recharge into Kiwi Sinkhole, near Driftwood Tx. Photo by Brian Hunt. Flood at Hammett's Crossing in 2007. Adjacent to Antioch Cave on Onion Creek, Hays County. Producing water during drilling in the Edwards Aquifer near Buda, Hays County. Photo by Brian Hunt. 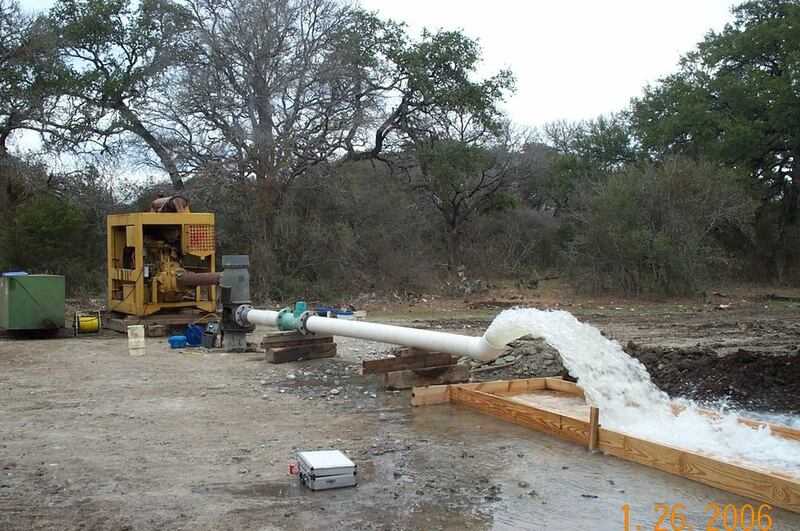 Pumping for aquifer test in the Edwards Aquifer near Buda, Hays County. Located on the bank of Barton Creek downstream of Loop 360 close to Airman’s Cave. 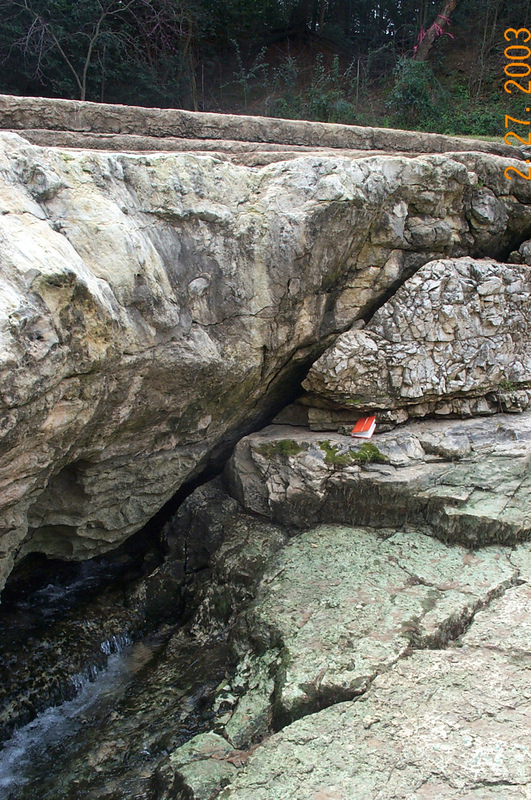 It discharges from the base of a “cliff” in an area of several other similar springs. These springs only discharge what water levels in the BSEA are exceptional high such as the summer of 2016. 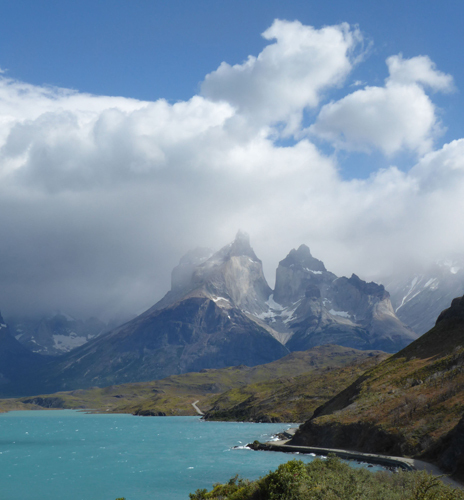 They last flowed in the spring of 1992 following exceptional winter rains. Photo David Johns. Recharge into Flint Ridge Cave following heavy rain May 2016. Photo David Johns. Located on Little Bear Creek near RR967. Photo David Johns. Travis County Multiport Well. Photo by Brian Hunt, 2017. Photos from traveling AGS members. Tuff cone of Daphne Major Island viewed through basalt of North Seymour Island (~4 Ma), central Galapagos. Photo by Patricia Dickerson. Arnarstapi, sea stacks of columnar basalt carved from a post-glacial (3,900 Ka) a'a flow, Snaefellsnes Peninsula, Iceland. Photo by Patricia Dickerson. October 1968: the Zambesi River in flood falling 108m over a width of 1700m, at the rate of 3000m3s-1. Photo John Berry. 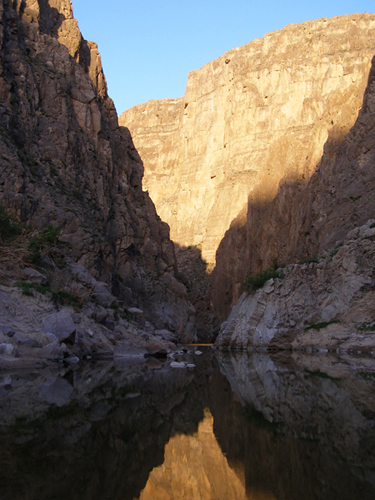 View of the volcanic Chisos Mountains, Big Bend National Park. Photo by Brian Hunt. Karst landform of Puerto Rico. Hills are called Mogotes. Photo by Brian Hunt. Puerto Rico. Photo Brian A. Smith. Famous karst landforms in southern Spain. Photo Brian A. Smith. Cross-bedded standsone of the Goliad Sandstone Fm make up much of the Mission. Photo Brian Hunt. Bottomless Lakes State Park, New Mexico. Photo by Brian Hunt. Permian evaporites from the Delaware Basin near Carlsbad NM. Photo Brian Hunt. Once perennial, now intermittent spring due to upgradient pumping of groundwater, Ft. Stockton, West Texas. Photo by Brian Hunt. Echo Amphitheater near Abiquiu, NM.